For a beginning Tarot reader, few tasks are as daunting as actually choosing that first deck. There are hundreds of different Tarot decks available. Some are based on famous artwork, movies, books, legends, mythology, and even movies. Others proudly declare on their sparkly boxes that they are not just Tarot cards—they are oracle cards, wisdom cards, healing cards, and all kinds of other things. Really, it can be a little overwhelming. So how does a new person choose a deck? Well, it sounds very simplistic, but the best thing to do is choose a deck that feels right for you. Handle the boxes. Look at them. Ask the shop owner if they have any samples you can examine; most Pagan and Metaphysical shops will have plenty of loose cards lying around, although your local Big Chain Bookstore will not. Ask friends who read Tarot what decks they prefer, and why. While you're looking at the decks, see if there's a particular one that keeps getting your attention. Do you keep finding yourself picking up that Baseball Tarot package, because it reminds you of your late Nana who pitched a no-hitter in the All American Girls League seven decades ago? Do you think the artwork on the Cat People deck is mystical and seductive? Perhaps the Egyptian Tarot brings to mind some dreams you've been having lately. If there's a certain deck that calls to you, that might be the one you need to get. For years, there's been a warning going around that you should never buy your own deck. In fact, the cautionary tale advises that you should only use a Tarot deck if you've received it as a gift. Quite frankly, that makes no logical sense. If this were the case, we'd all sit around for years waiting for someone in our lives to present us with a Tarot deck—and even then, we'd have to keep our fingers crossed that the one they picked out for us is one that resonates with us. If you want a Tarot deck, go out and buy one. It's going to work just as well as one that someone else selected for you. In fact, it may well work out better, because it's one you chose deliberately, rather than just being given as a present. 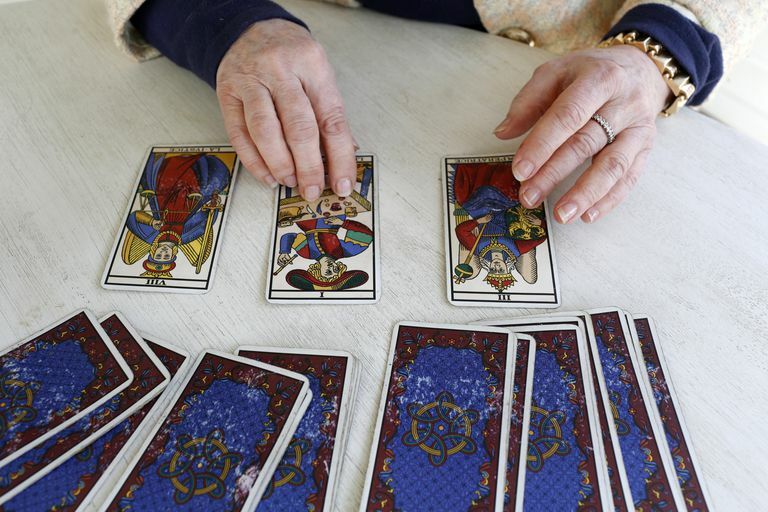 Do keep in mind that if you're new to Tarot, and you plan to learn Tarot in a class, from a book, or from a website like this one, most follow the traditional 78 card format. If you choose a deck that bills itself as an "oracle deck" or "wisdom cards," the cards may not correspond with the information provided in Tarot teachings. In other words, if you want to learn Tarot, be sure the deck you choose has the standard 78 cards. Finally, if you're really stuck, and you just aren't sure which deck is the best one for you, it's not a bad idea to pick up the Rider-Waite deck. Aesthetically speaking, the Rider-Waite deck may be lacking a bit, but it's the one used most often as the illustration in Tarot instruction books, and it’s a fairly easy system to learn. Later on, as you come to understand the cards and their meanings on an intuitive level, you can always add new decks to your collection.